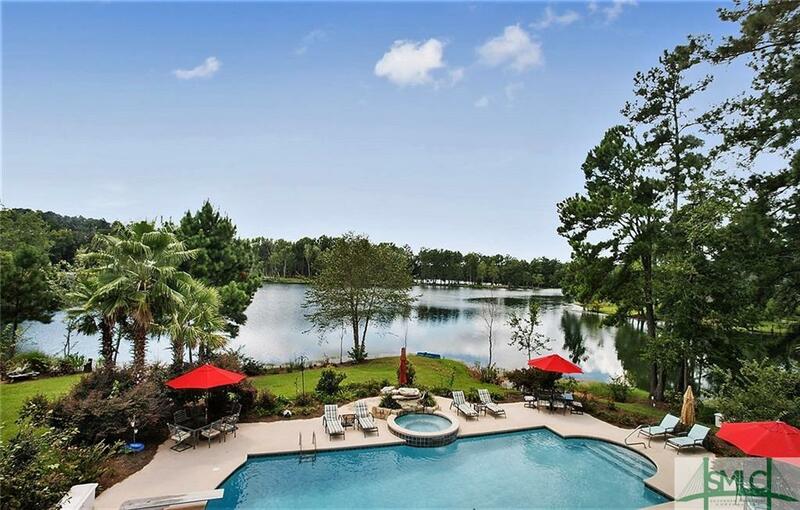 A "Lifestyle" not just a beautiful home -in private gated & rare Fly-In Community (NOTE: do NOT need to own plane) on peninsula of 65-acre lake that is spring-fed & great fishing -swimming -sailing & kayaking. BRAND NEW GÇ£TIMBERLINEGÇ¥ ROOF. All major rooms have view of lake. Main Living Room with fireplace and 19' vaulted ceilings. Gourmet kitchen with-warming drawer and open to breakfast area -family den -stone fireplace -Formal Dining Room - Butler's Pantry & full wet bar. Main Floor Master Suite 2-sided fireplace-extends into Master Bath-steam sauna shower-huge his/her walk-in closet - upstairs 3 full baths -3 bedrooms-separate media/office/library with lake view- Bonus Game/ Pool Table Room- 3-car garage - regulation volleyball sand court - 20 x 40 Gunite pool with fountain- fruit trees on property surrounding cabana with gas grill and sitting /eating area and additional recreation area -private dock and swimming dock on deep-water of lake - easy access to kayaks and/or sailboat. 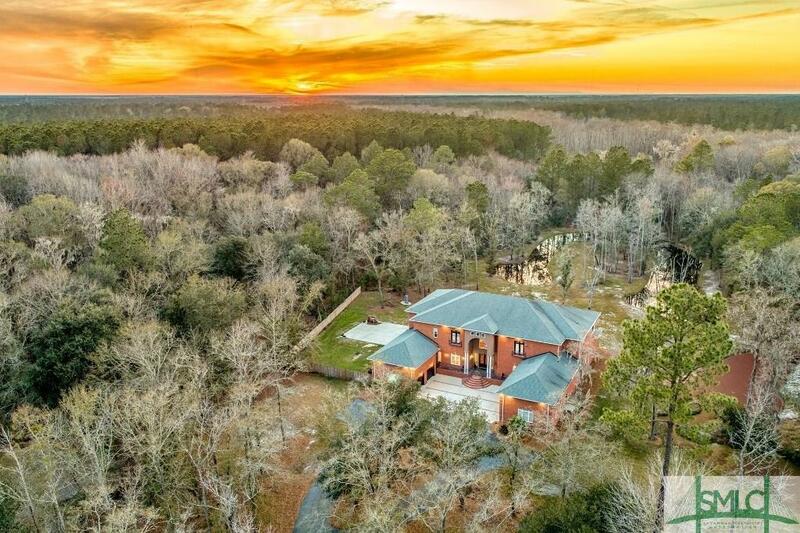 You will be captivated by this 6 bedroom, 4 full/2 1/2 bath country estate that offers a lifestyle of comfort and luxury on 4.73 acres in the gated community of Cypress Creek. Entering the exquisite double wrought iron and glass front doors you are greeted by the two-story foyer. This house is approximate 7875 heated sqft with 4 oversized bay garages. 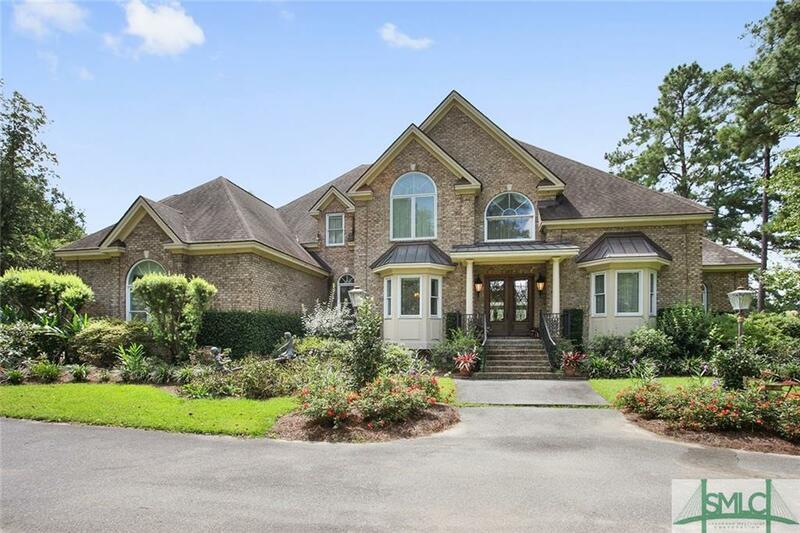 This elegant yet practical home has soaring two-story great room, tiger wood floors, double tray ceilings, with private well, media room, & 16-inch crown molding. The main floor master suite with luxury bath includes large walk-in shower. The kitchen and butlerGÇÖs pantry have granite counter tops, stainless steel appliances, double ovens, and warming drawer. Enjoy the breeze and wildlife from your two-story covered porch with pool and grilling area setup with outside sink & cabinetry. 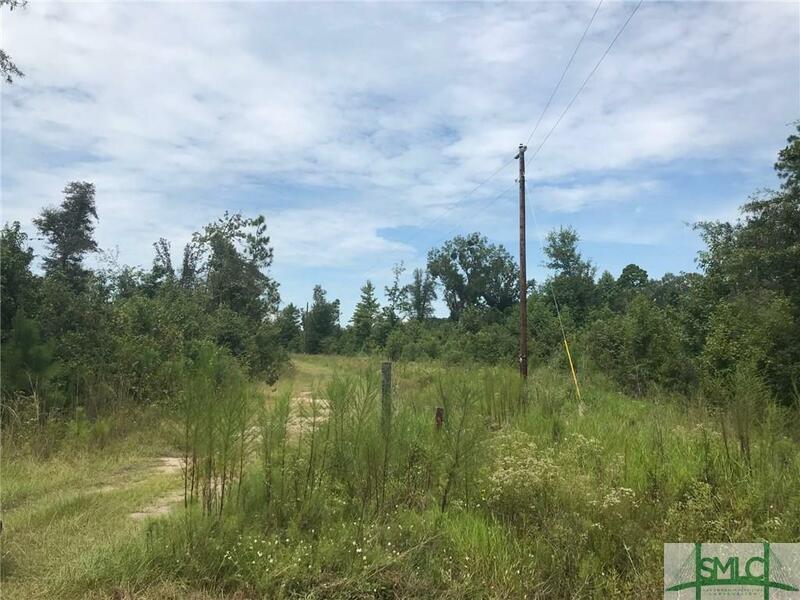 It is minutes from Savannah/Hilton Head airport, I 16/I 95 corridor, hospitals, restaurants, shopping, and historic downtown Savannah. The Rosewood plan in Cypress Lakes offers a foyer entrance, separate dining room, study, large Family room with electric fireplace, open kitchen and breakfast area. Guest bedroom and full bathroom downstairs. 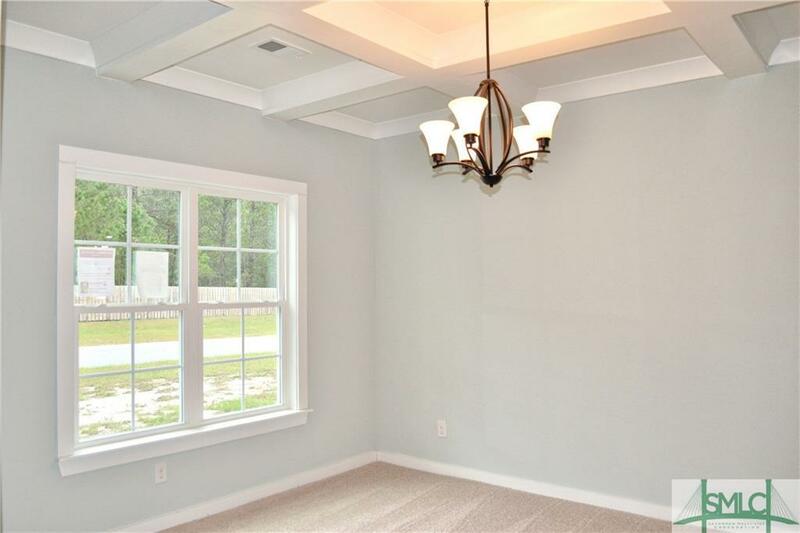 Master suite upstairs is unbelievably large with vaulted ceiling, sitting room and fireplace. Master bathroom offers double vanities, garden soaking tub, separate shower and Huge walk-in closet. Three additional bedrooms and two full bathrooms upstairs with laundry room upstairs for easier access. 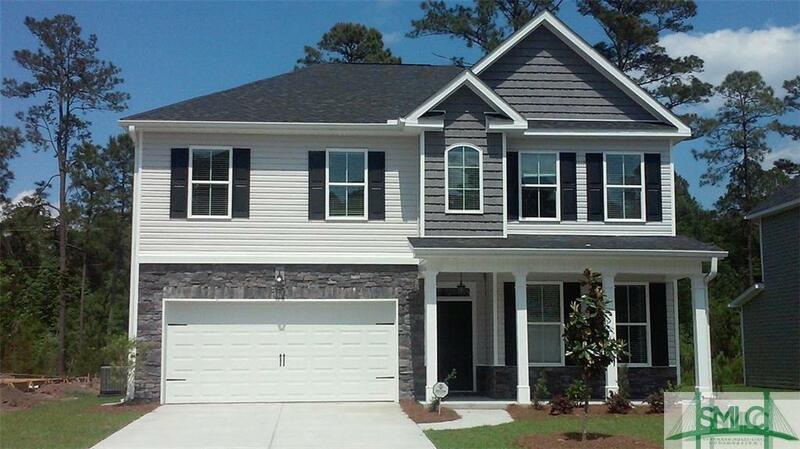 Builder offering $3,500 for Closing Cost. Entertaining is easy in this Kandon plan in Cypress Lakes. 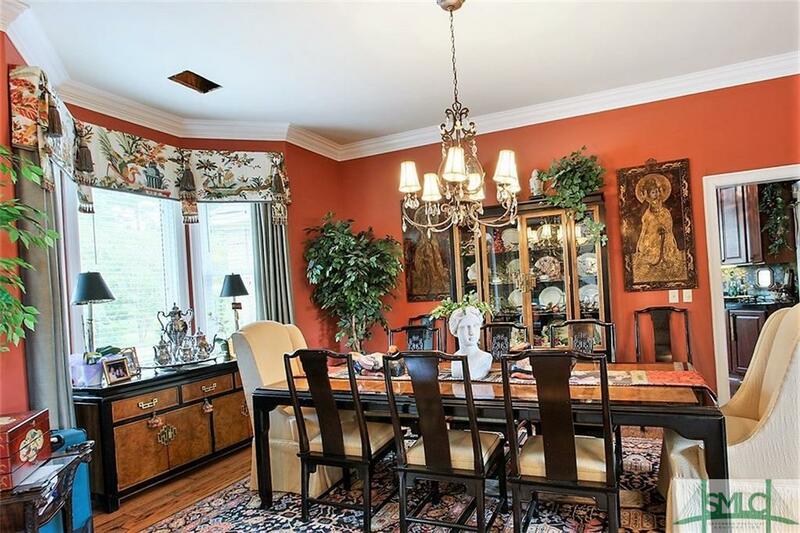 With a foyer entrance that flows into a formal dining room, living room, and great room. To the elegant kitchen with island and breakfast area open to the great room with electric fireplace and 11 ft ceiling. Guest bedroom and full bathroom downstairs. Master suite upstairs. Master bathroom offers his and her vanities, garden soaking tub, separate shower, and large walk-in closet. 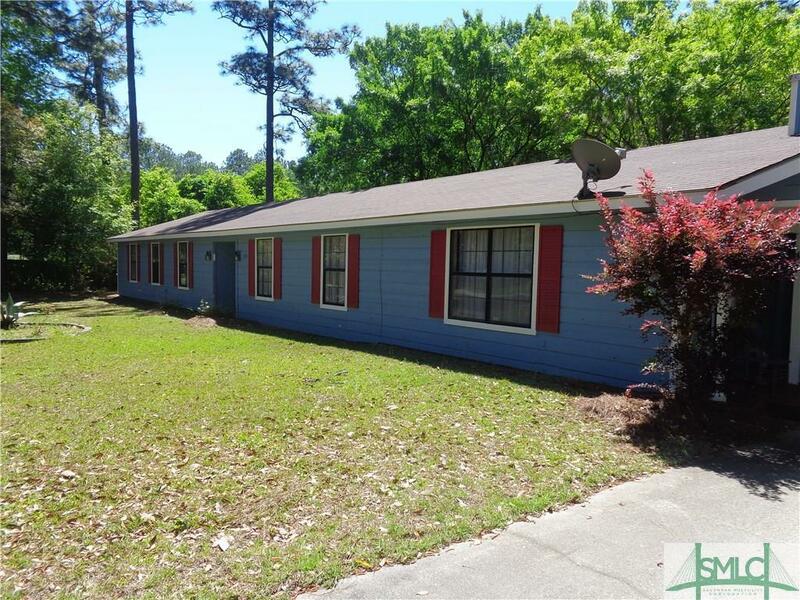 Three additional bedrooms and two full baths upstairs with laundry room upstairs as well for easier access. Builder offering $3,500 in Closing Cost. Ask to view the 3-D tour for floor plan details. 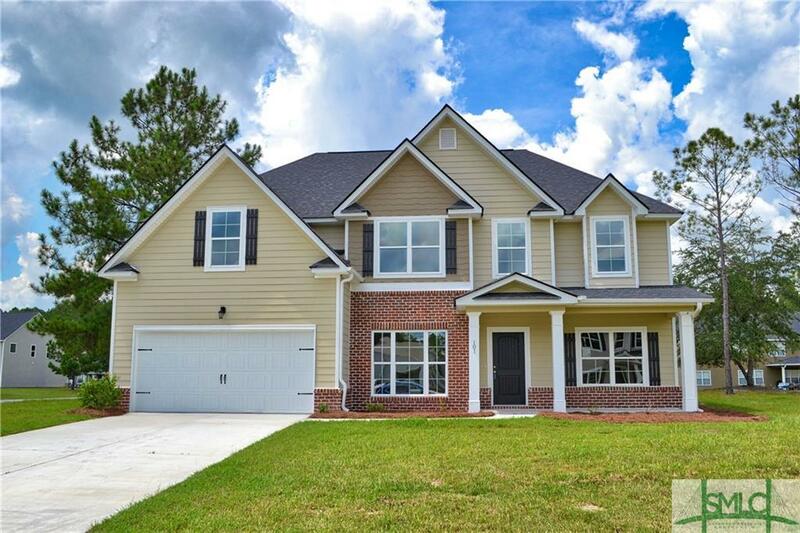 Gorgeous new home just 10 minutes from the Pooler Parkway. 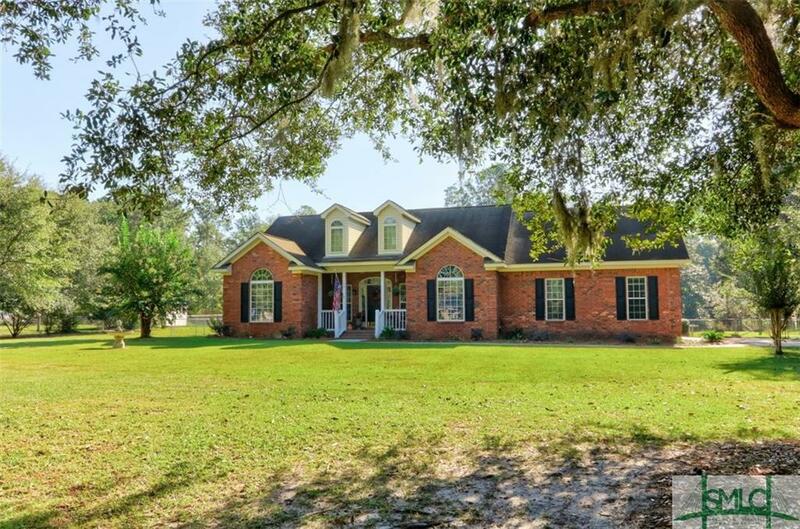 5 Bedroom, 3 Full Bath home sits on a large lot in the South Effingham school district & in a fantastic community. The spacious kitchen has granite counter tops, tiled back splash and stainless steel appliances. Downstairs features a large foyer entrance with separate dining room, great room w/fireplace that is open to the kitchen. One bedroom & full bathroom are located downstairs. Upstairs you will find the master suite with sitting area and his and her closets, private bathroom with double vanities with granite counters, separate shower, and garden tub. Upstairs are 3 additional bedrooms and large second bathroom. Generous laundry room conveniently located upstairs with access from master bath. Large front porch as well as a covered back porch perfect for entertaining. Spray foam insulation makes this home super energy efficient. The Sycamore plan in Cypress Lakes offers spectacular views and a serene back covered porch to enjoy it all! 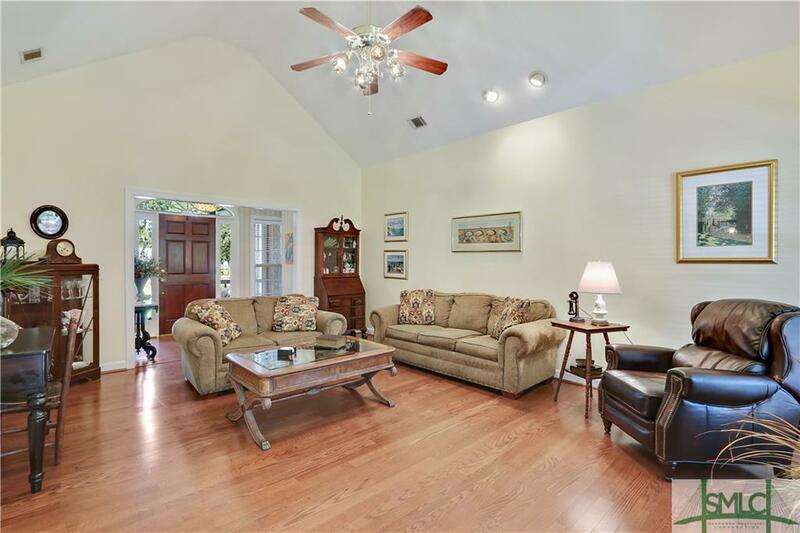 Entertaining is easy in this open floor plan with separate dining and living rooms, large great room with 11 ft ceiling, electric fireplace, open to the breakfast and kitchen. Guest bedroom and full bathroom downstairs. Master suite upstairs with double vanities, garden soaking tub, separate shower and huge walk-in closet. Three additional bedrooms and a full bathroom upstairs with laundry upstairs for easier access. This plan also offers a media/flex room for even more room! 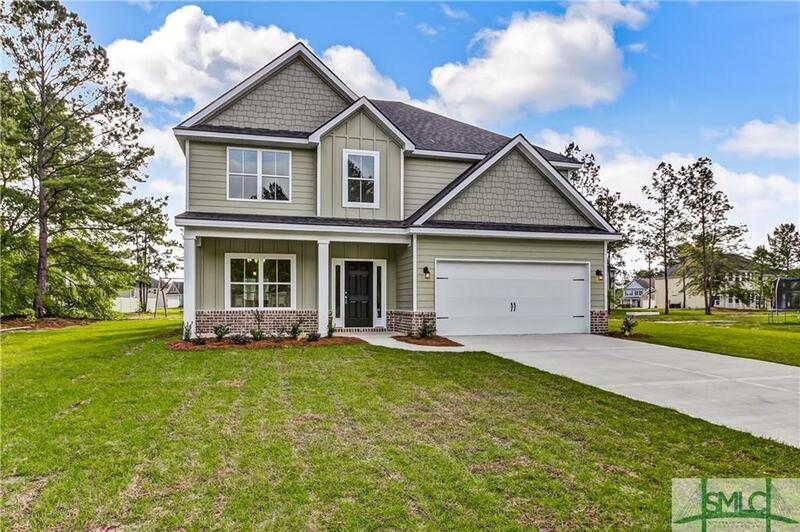 Builder offering $3,500 in Closing Cost. 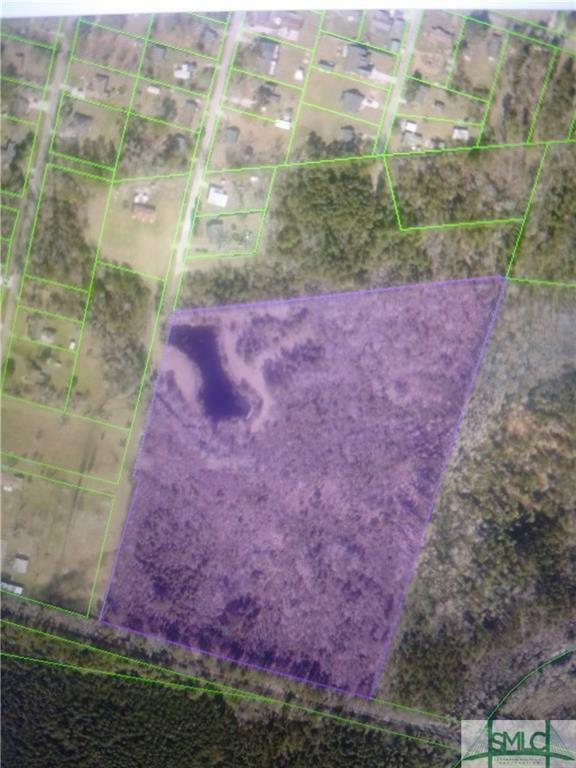 Ask to view the 3-D tour for floor plan details. 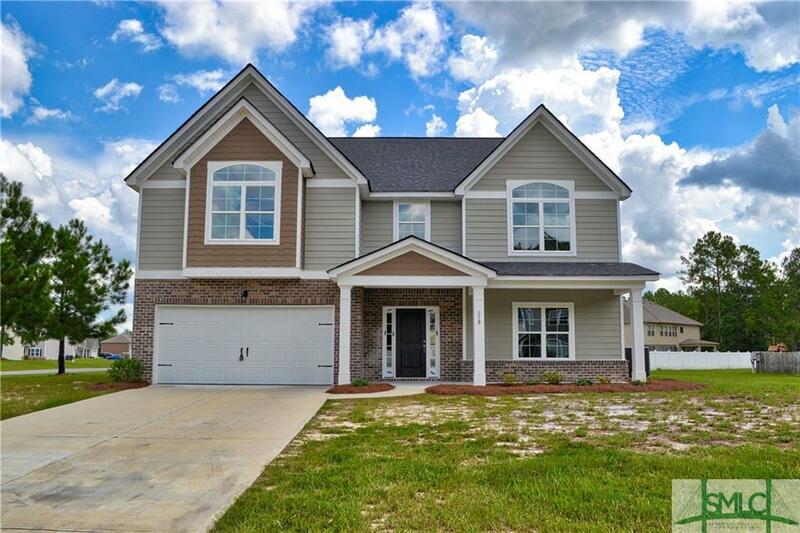 Gorgeous new construction in coveted South Effingham community just 10 minutes from the Pooler Parkway. 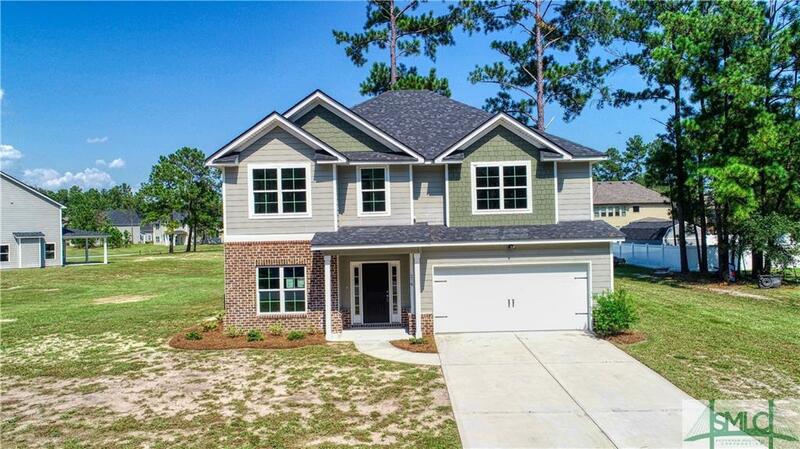 Spacious floor plan with a total of 5 bedrooms and 3 full baths. Large eat-in kitchen features granite counter tops, tiled back splash and stainless steel appliances. Downstairs features a large foyer entrance with separate formal dining room, great room w/fireplace that is open to the kitchen. One bedroom & full bathroom are located downstairs. Upstairs is where you will find the master suite with HUGE closet that attaches to laundry room, private bathroom with double vanities with granite counters, separate shower, and garden tub. Upstairs are 3 additional bedrooms and an over-sized second bathroom. Front porch as well as a covered back porch perfect for entertaining. Spray foam insulation makes this home super energy efficient. 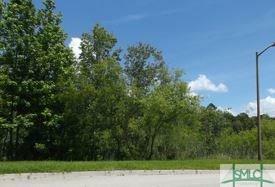 Great location is convenient to I-16, I-95, the airport and Gulfstream. The Wonderful "Warren" plan by Beacon New Homes is a sight to behold! 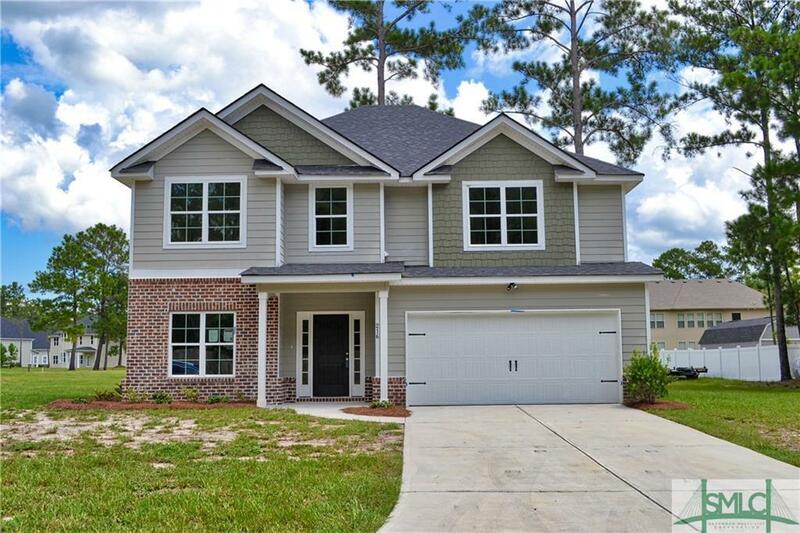 This 5bed/3bath home has the master bedroom situated upstairs, equipped with a large sitting area, tray ceiling, 2 walk-in closets, & an en suite master bath. The master bath boasts dual comfort height vanity sinks, granite countertops, a 42" garden tub/shower combo with a large linen closet for additional storage. 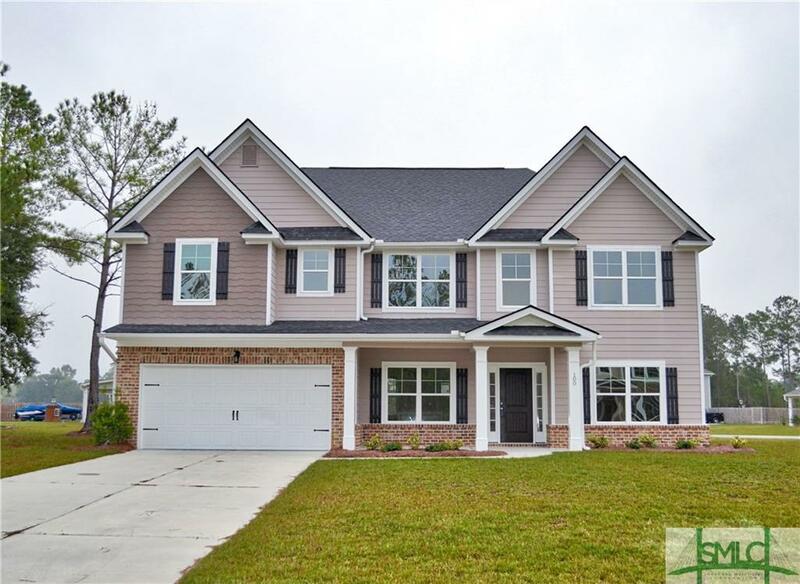 With 9' ceilings on the first floor & vinyl plank in the dining room & Foyer. The kitchen comes equipped with granite countertops & subway tile backsplash, slate gray cabinets, beautiful center island with pendant lights, recessed lighting, and a gourmet kitchen! There is also one secondary bedroom on the first floor with a full bath directly adjacent, perfect for guests! Flat coffered ceiling in study. 30yr architectural shingles, brick, board & batten, & shake accents added to front of home. Covered rear patio with fan. Builder pays up to $4,000 with use of a preferred lender! 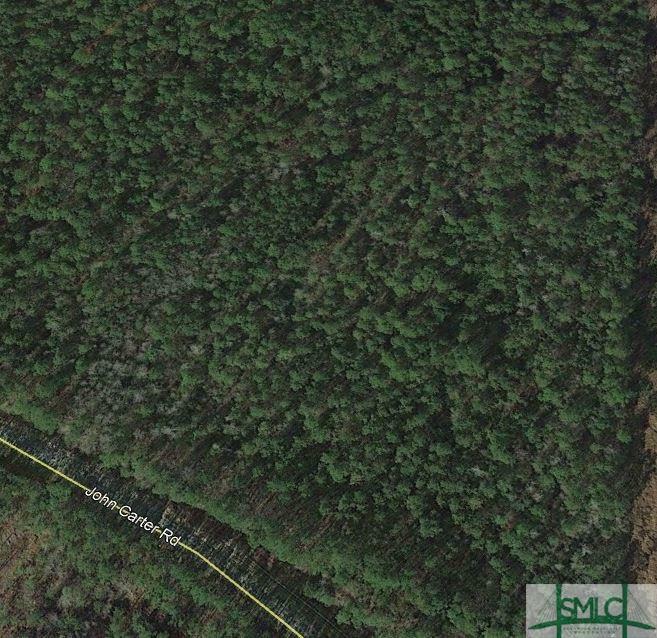 This cedar country ranch is a true 4 bedroom 2.5 bath 2600 sq ft home on 3.07 acres. 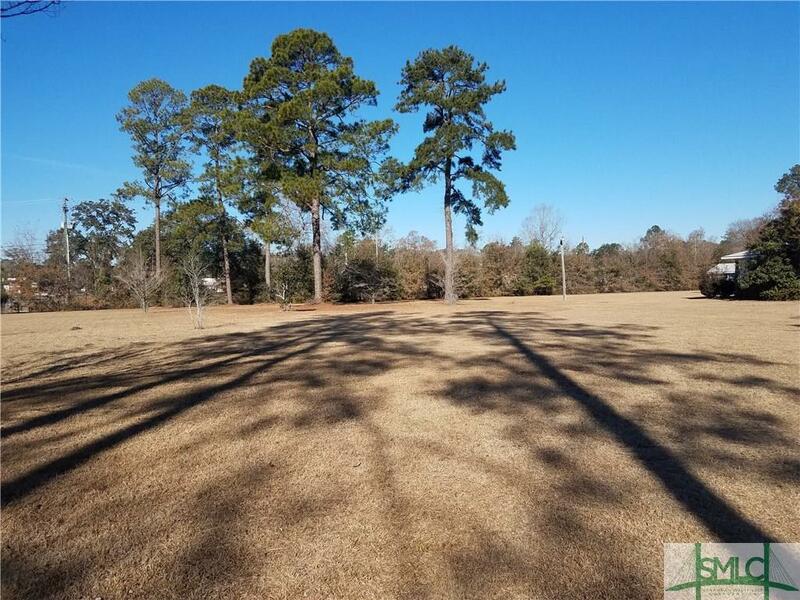 Formal livingroom and diningroom , foyer entrance, country kitchen with breakfast room, oversized great room with access to large screen porch ,separate large familyroom with masonary fireplace and hearth .Master bedroom has sitting area with new master bath shower. Laundry utility room has lots of storage and a mud room. Outside you have 3 storage sheds 2 garages w 30x40 workshop wired for 220 so many possibilities . 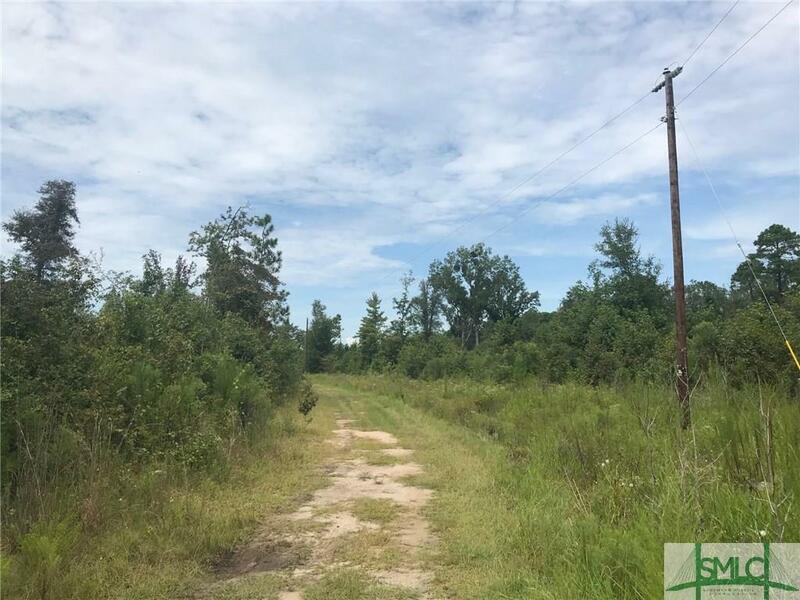 Peaceful setting with woods and garden area lots of wildlife a must see . UNDER CONSTRUCTION!! LAGOON LOT!!! 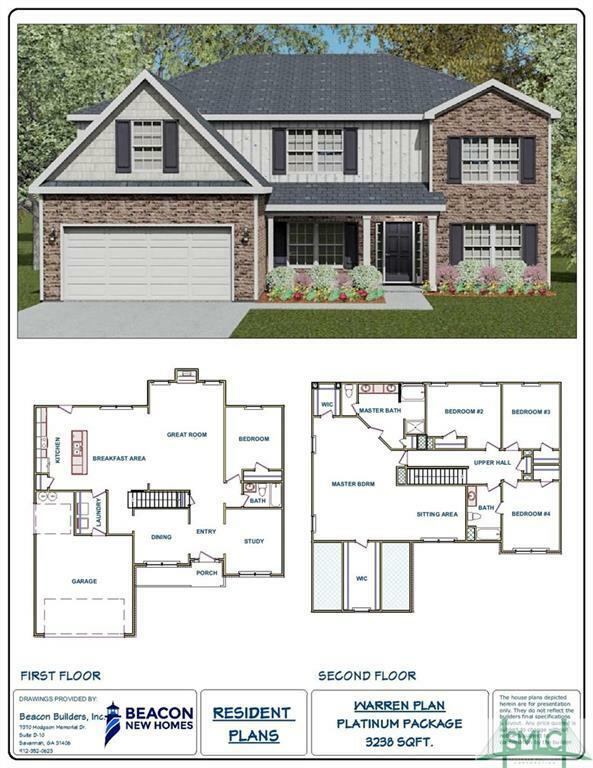 The 2964 Plan offers 4 Bedrooms 3.5 Baths. Features include: Dining room with a boxed ceiling, granite kitchen counter tops, stained kitchen Cabinets, LVT wood flooring in foyer, dining room, kitchen, and breakfast area, electric fireplace in great room, large laundry room, over-sized master bedroom, master bath with double vanity/soaking tub / separate shower, his and her spacious master closets, hall bath with double vanity, covered rear patio, sodded front yard with zoned sprinkler system, two car garage with remotes. 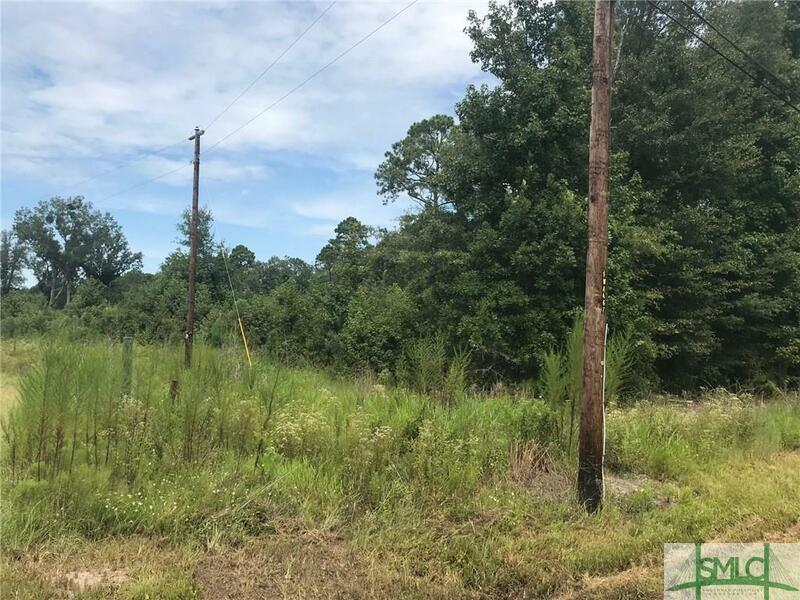 Conveniently located minutes away Pooler. Expected completion September 2019. The Tupelo plan in Cypress Lakes offers an open floor plan with separate dining room, Great room with electric fireplace and open to the breakfast and kitchen. Kitchen includes Granite countertops. Master suite upstairs with His and Her closets. Master bathroom offers double vanities, Garden soaking tub, and beautiful separate Tile shower. Three additional bedrooms and a full bath upstairs with the laundry upstairs for easier access. Builder offering $3,500 in Closing Cost.